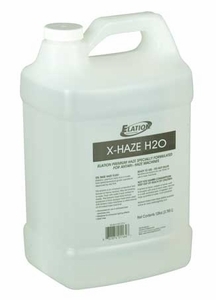 � Water based haze machine fluid for use in Antari Haze machines; HZ-350, HZ-400, and HZ-500. � Low reside haze fluid made from pharmaceutical grade ingredient. � Not for use in any Antari Fog Machine. � Sold in 1 gallon containers.